This article belongs to Self-help theme. 1. Include a Number. 7 Rules. 10 Rules. 9 habits. 6 Minutes. 5 Reasons. 2 French hens. It doesn't matter what you DO with the number. People just love numbers. And don't go making it a BIG number or you're screwed! No one wants to follow the 1,026 rules for success. Remember, people are stupid. If they weren't, they wouldn't have to buy a book that tells them that if they want a better life, the will have to work hard, think positive, set goals etc... So keep the number small. But not TOO small. If you've only got one habit for success, they'll just peek inside to see what it is, in the bookstore and not buy it. 2. 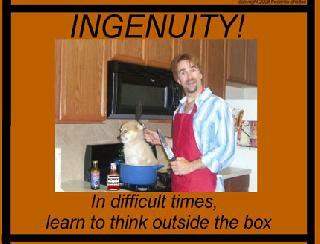 Invent New Jargon. In the old days, people would have an experience that enabled them to look at things with a fresh perspective. The quaint term for this was "putting on a new pair of glasses". Happened to people all the time. Doesn't happen anymore. Why? Because now we have "Paradigm Shifts!". I used to focus on my work and occasionally lose track of time. Now I'm "In The Now". I used to do what I'm good at. What was wrong with that? I've upgraded. Now I'm "Engaging in my Best and Highest Use." Okey dokey. So remember, make sure to invent some language or you're just not helping people properly. 3. Figure Out What or Who You're Going to Rip Off. The best way to be cutting edge and unique, is to plagiarize! I mean really. Think about it. Find a book that doesn't tell you to have something to go after. A goal. An "end in mind". A "actualized outcome". Whatever. What about thinking positive? Which books says "You know, what you SHOULD do is sit around and dwell on your problems all day! Yeah, THAT's the ticket!". But if THE BIBLE says, this is how you should do your taxes, you may rest assured, it won't be long before Holy Tax Returns are filed. 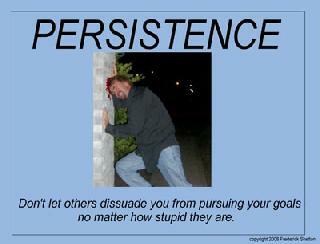 How about Persistence? Seen many books that say "Now remember, if things get tough, go home and play video games.". Nah. ALL those books say pretty much the same stuff. Set goals. Think Positive. Learn to get along with people. Don't give up. So what you need to do is rip something or someone off! If you say it, who cares? But if THE BIBLE says, this is how you should do your taxes, you may rest assured, it won't be long before Holy Tax Returns are filed. Generally, the best sources to rip off are: Religious books or Figures, Literary Characters (Merlin, Sherlock Holmes etc. ), Cartoon Characters, Movies and Movie Characters, Children, Old People, People from Another Country or Culture (you wouldn't believe how many Indonesians are reading books on success, The Western Way), whatever. Just make sure you rip someone off. 4. Get People Who Want You to Help Them, to Help You. Look inside your self-help book. What do you see? A bunch of testimonials from authors of OTHER self-help books, telling you how great this one is. How much you want to bet that if you look inside THEIR self-help book, a testimonial will be there from THIS author! A round and round it goes. If you don't know any authors yet, spend twelve dollars to form a company, make a friend the president of it and viola' , you have the endorsement of the President & CEO of Dinosaur on a Stick! Later, when your friend writes his book, you will have to endorse it of course..
Make a friend the president of it and viola' , you have the endorsement of the President & CEO of Dinosaur on a Stick! So that's it! Now you're ready to become a Self-Help guru! Don't forget to watch for my highly recommended, upcoming book: "The Audacity of the 11 Theories from Zues Which Make Me Better Than You, Now".